Looking to Buy Notebooks and Personal Computers? Need to Upgrade to the Latest ATi Technologies Inc Graphic Cards? Wish to Get a Social Networking-Enabled Smartphones, Great Mobile Broadband Subscription Offers, Digital Cameras Fitted With Micro Four-Thirds Systems, Android And Bada-Powered Smartphones, Liquid Crystal Display Monitors With 3D-Ready, High Definition Functionality And Many More? You can expect to get a great on new Intel Core i5 and Intel Core i7 powered notebooks, new graphic cards from ATi Technologies Inc, Nvidia Corp and MSI Computer Corp, a fresh range of compact digital cameras to geotagging, social networking-enabled smartphones. For digital cameras fans, do expect special bundling packages for this year’s new generation of digital cameras fitted with micro four-thirds systems, Android and Bada-powered smartphones, liquid crystal display monitors with 3D-ready and high definition functionality. Special introductory offers and special bundling packages for mobile broadband subscription and broadband subscription also will be Available at Super Crazy price! 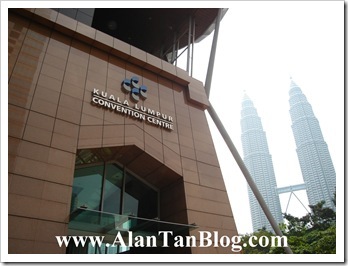 According to the Association of the Computer and Multimedia Industry of Malaysia (Pikom) in a press statement released on April 2010, this year PC Fair 2010 would be held twice instead of the usual three and the traditional PC Fair in December has been cancelled. Therefore this PC Fair 2010 (II) will be the last for this year! PC Fair 2010 (II) will be organised in six legs spanning 15 venues in 10 states. The fair starts its first leg on from from July 2-4, at Dewan Masyarakat, Tawau in Sabah and the second leg a week later, from July 9-11, at Alor Setar Mall, Kedah, and Persada Johor International Convention Centre in Johor Baru, Johor. Approximately 199 exhibitors occupying 281 booths will be participating in these two legs. In the following week, the third leg continues and will be held at three venues; from July 15-17, at KB Mall in Kota Baru and Terengganu Trade Centre in Kuala Terengganu, and July 16-18, at Batu Pahat Mall. As many as 159 exhibitors have confirmed their participation at these three venues. The fourth leg will see the fair being held from July 30 to August 1, in four venues – Berjaya Megamall in Kuantan, Penang International Sports Arena, Dewan Merdeka in Seri Manjung and Melaka International Trade Centre. This leg will have 429 participating exhibitors in 559 booths and it expected 177,000 shoppers at the four venues. However, the heart of the fair lies is in the fifth leg, which has the largest number of participating exhibitors at 479 occupying 928 booths. This leg will be held from August 6-8 at four venues: LG Exhibition Hall, 1Borneo in Kota Kinabalu, Kuala Lumpur Convention Centre in Kuala Lumpur, Village Mall in Sungai Petani, Kedah, and Dewan Jubli Intan in Muar, Johor. A massive 300,000 shoppers are expected. The fair continues with its sixth and last leg from Aug 27-29 at Stadium Indera Mulia in Ipoh with 84 exhibitors occupying a similar number of booths. In total, the fair will have 1,272 exhibitors in 1,936 booths. The popularity of the fair, which celebrated its 10th year in 2006, has improved judging by the increasing number of shoppers and remained largely intact despite facing numerous challenging economic periods. The fair enjoys a good reputation as a valuable platform for consumer ICT products and services, helping shoppers stretch their wallet and increase their purchasing power while taking advantage of numerous promotional offers and best buys. So Do Not Miss Out this Largest and the Most Popular Consumer Information and Communications Technology (ICT) Fair-PIKOM PC Fair 2010 (II), in Malaysia! This entry was posted on Monday, June 28th, 2010 at 10:13 am	and is filed under Advertisement, Tips, To Do. You can follow any responses to this entry through the RSS 2.0 feed. Both comments and pings are currently closed. PETALING JAYA: Information and communications technology (ICT) players are cautiously optimistic about the industry for the rest of the year despite fears of double-dip recession, according to the Association of the Computer and Multimedia Industry of Malaysia (Pikom). Its president, Shaifubahrim Saleh, said the weak economic situation in the world today would affect the growth of the global industry but the possibility of this happening in Malaysia seemed quite remote. “We will need to count on domestic demand to drive further growth in the event of a double-dip recession,” he told StarBiz. Small and medium enterprises (SMEs) are also likely to speed up usage of ICT. There are currently about 900,000 SMEs in the country. Pikom is maintaining an 8% growth this year compared with 5% last year. Growth next year will be further fuelled by the 10th Malaysia Plan as the industry was expected to play an even more important role in the innovation and high-income economy, he noted. According to a recent report by Business Monitor International (BMI), the Malaysian ICT market is forecast to grow at a compound annual growth rate (CAGR) of 12% from 2010 to 2014. BMI predicts that Malaysia’s value of software market is expected to increase to US$760mil in 2010. Outsourcing Malaysia, a chapter of Pikom, was also positive about growth. Chairman David Wong said local outsourcing was picking up. At the moment it is growing steadily at CAGR of 15%. The outsourcing market in Malaysia is dependent on three factors, namely the Government and industry initiatives on outsourcing, the local economy and factors relating to population, culture and society. Sectors in Malaysia like financial services, oil and gas and logistics leveraged on outsourcing operations to serve their global counterparts, he said. SAS Malaysia managing director Jimmy Cheah said the enterprise information technology (IT) sector would continue to see cautious investments by corporations in the second half of this year and next year. The sector would be driven by the current worldwide obsession for a sustainable green economy, he said, adding that there would be demand for renewable energy-friendly solutions and wastage of resources. “Green IT” would be a key driver for enterprise IT spending across major sectors, including government, manufacturing, financial services, healthcare, retail and others, he noted. Signalling his confidence in the ITC sector, IBM Malaysia managing director Ramanathan Sathiamutty said one of the main challenges facing the industry was human capital. “To compete on a regional and global scale, the industry and Malaysia must retain, attract, develop and manage well their human capital. Talent and leadership development help companies to succeed. The single most pressing challenge that probably all companies face is cost. “However, in spite of cost pressures, leading companies like IBM remain committed to building leadership capabilities within their organisations,” he added.